Hello and welcome to the launch of Crochetvolution! I am so very excited to show you what I have been working on this year. It has been a dream of mine to begin a free crochet webzine for years, but the timing has just never been right. You see, a long time ago, in a land far, far away, I got my start designing crochet patterns for a webzine called CrochetMe. (Those little puppets on the left were my very first submission, in fact.) You may have heard of it – or, if you’ve been around long enough, you may remember it. I loved CrochetMe. I submitted a project to almost every issue after my first project was accepted, and I learned a lot. I learned how to properly format my patterns, and how to write them so that they could be understood. I learned a great deal about how to photograph my work – what made one picture ‘good’ and another one unappealing. I had a lot of fun. Nothing lasts forever, though, and CrochetMe was no exception. Kim got a job at Interweave (you can thank her for turning Interweave Crochet into a beautiful quarterly publication, by the way) and CrochetMe was no longer published as a mag. The designers and writers that had been contributing to it drifted off to their own projects and successes. I started a personal crochet site where, using the skills I’d learned with CrochetMe, I began to publish and sell my own patterns. Eventually, though, it became clear to me that something was missing. A community project, if you will. 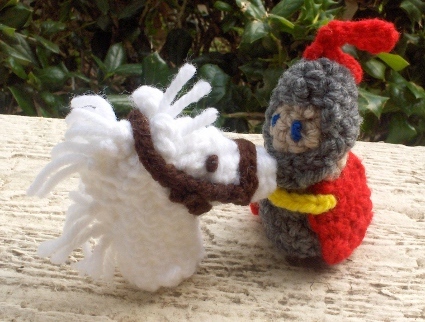 A place to feature and focus the work of crocheters around the web for everyone to see. A place for people to get started and for new talent to be recognized. How I missed the anticipation of a new issue coming out! Someday, I thought, I would publish my own webzine. Now, finally, it is time – and this is the result! This first issue is small, but I am so proud of everything that is in it. Every pattern, article, and photograph represents hours of effort from crocheters like you. It’s only with your help and support that this venture can succeed! Whether you’re a designer, a writer, a crocheter who’s proud of your work, or you are a designer selling your patterns independently, you can have your work appear in the next issue. If you’ve checked out the submission requirements before, please look again! Some details have changed. Anyway, I hope you enjoy the issue. I know I enjoyed putting it together. Congratulations on your first issue and many more to come. Awesome first release. Congratulations on the great first issue! I love it! Looking forward to more issues — this one is great, thank you! Well done on your first issue, some great patterns, looking forward to the next issue!! Congratulations on the first issue. Great job! Congratulations on your first issue! It’s great! Congratulations! What a great first issue. I love the Take it or Leaf it and Geez Louise patterns in particular. Your hard work is much appreciated. This looks wonderful. I’m looking forward to more issues. Thanks. Congratulations on your first issue!!! Looking forward to the next! Congratulations, terrific first issue! Looking forward to future issues…..many future issues! I would love to continue receiving this in my email…Where do I subscribe? Congratulations and thank you for all your effort! Can’t wait to read more! I am so excited to see a brand new crochet-centric webzine! Looking forward to many more issues to come. Congratulations on the new magazine. This is exciting. If you should have ‘followers’ by RSS or email, I want in! Love your site. Wonderful first edition! Congratulations and good luck with your webzine. Your magazine layout is great! Thank you for all of the free patterns on your personal site. I’ve been a long time follower. Congrats on your new site and mag! This is fabulous! Thanks for all your hard work. It’s much appreciated. I remember those finger puppets! I stitched them up for my little boy when they came out! Congratulations! Great stuff! Congrats on your first issue. Its beautiful – full of gorgeous patterns. Can’t wait to see more! Congratz! I’m loving this first issue…Here’s wishing you GOOD HEALTH & MANY,MANY more issues!